Cape Coral, FL (January 16, 2014) — Unlimited Priorities LLC®, a firm specializing in support for small and medium-size companies in the information and publishing industries, is coordinating the process of companies upgrading to COUNTER: Release 4 in conjunction with ISSEL, a British firm and vendor member of COUNTER. The COUNTER Code of Practice for e-Resources: Release 4 is an integrated Code of Practice covering journals, databases, books, reference works and multimedia content. Release 4 replaces both Release 3, incorporating journals and databases, and Release 1, encompassing books and reference works. COUNTER provides an international extendible Code of Practice for e-Resources that allows the usage of online information products and services to be measured in a credible, consistent and compatible way using vendor-generated data. The changes in Release 4 are a combination of housekeeping to reflect the ongoing changing ways content is becoming available, synchronization of previous versions of the standard, and responses to user feedback reflecting an expanded familiarity working with COUNTER. Information on Project COUNTER is available at: www.projectcounter.org. Cape Coral, FL, July 24, 2013 — Unlimited Priorities (UPriorities), a firm specializing in support for organizations within the information industry, has been retained by the American Congregational Association (ACA), a non-profit organization. The Congregational Library and Archives, administered by ACA, houses a rare book section containing an unusually rich representation of seventeenth-century works. It also retains 1,500 different serials and periodicals, newspapers from moral reform and missionary societies, the abolitionist press, women’s writings, African American studies, and many other general historical and religious platforms. ACA’s goal in developing the digitization distribution and subsequent revenue stream allows them to fulfill a primary purpose of their mission which is the preservation of critical church records. UPriorities will support the Library in achieving its goals. Specifically, UPriorities will identify potential partners, assess the existing collections, review the competitive landscape, and collaborate with the library and its partners on negotiating mutually advantageous terms and conditions for licensing, digitization and distribution. The American Congregational Association administers The Congregational Library and Archives formed in 1853 as part of an effort to preserve and disseminate the history of the Congregational tradition. Begun with the gift of 56 books from its supporters’ personal collections the library has continued to grow through similar gifts and aggressive acquisition of sixteenth and seventeenth-century Puritan literature. Offering an extensive array of contemporary and classic religious materials, the 225,000 item collection includes a wide variety of resources on American religion, New England local and town histories, and three hundred years of records documenting the history of American Congregationalism. Unlimited Priorities is attuned to the management requirements of organizations in the information industry, both commercial and not-for-profit. We provide executive-level support services by utilizing a highly skilled group of professionals with abundant experience. Our practice specialties include Sales and Marketing, Business Development, Financial Services, Operations Management, Production, Information Technology, Social Media, and Content Development and Licensing. Our Archival Initiatives Division offers advice to libraries, historical societies, and industry associations in selecting, distributing, and monetizing their valuable archival content. Cape Coral, FL, March 27, 2013 — Iris L. Hanney, president of Unlimited Priorities LLC®, a company specializing in support for organizations within the information industry, has announced that Delores Meglio, long-time member of that industry, has joined the company in a dual capacity. Delores will market publishing e-services for Unlimited Priorities’ clients. Delores Meglio has spent more than 25 years in the information industry. She is a recognized expert in the field of digital publishing, database management and content aggregation. She has in-depth experience in new business development, contracts and licensing, mergers and acquisitions, and sales support. Prior to joining Unlimited Priorities Delores served as Vice President of Publisher Relations at Knovel, where she was responsible for guiding content selection, licensing and production. She formerly was Senior Vice President for Ziff-Davis and Thomson Corporation, producing more than 100 highly profitable online and Web-enabled databases in technology, business, and health. As Vice President of the New York Times Information Division, she developed ground-breaking databases for the White House and the oil, gas and energy industries. Delores is a graduate of City College of New York, holds a Masters Degree in Information Science from St. John s University and attended the INSEAD European Management Institute in Fontainebleau, France. In 1992, she won the YWCA Tribute to Women in Business Award. Unlimited Priorities, acting in its capacity as sales and marketing agent for Accessible Archives, has coordinated the sale of the Lily database to the Committee on Institutional Cooperation (CIC), a consortium of thirteen research universities: Illinois, Indiana, Iowa, Michigan, Michigan State, Minnesota, Nebraska, Northwestern, Ohio State, Penn State, Purdue, Wisconsin and the University of Chicago. All CIC members will receive permanent access to The Lily. We’re pleased to announced that Mark Gauthier has joined our team of executive-level professionals to bring increased expertise in database publishing and workflow re-engineering. Mark was most recently Vice President, Indexing and Editorial Services at H.W. Wilson. He managed the editorial and production operations of ten periodical indexes, the Wilson retrospective databases, full text services, and Current Biography. He also oversaw Wilson’s name and subject authority files and coordinated the editorial studies conducted by the American Library Association’s Committee on Wilson Indexes. For more information, see Mark’s Bio on our Team Page. Cape Coral, FL, June 1, 2012 – The board of directors of the Robert F. Asleson Memorial ALA Conference Grant has announced this year’s award recipient. The winning essay was submitted by Timothy Thompson, a student in the School of Library and Information Science at Indiana University in Bloomington. Mr. Thompson will receive a $1,500.00 grant to help defray the cost of attending the ALA 2012 Annual Conference, Anaheim, California in June. Each year the grant’s monetary awards subsidize attendance at the American Library Association Midwinter Meeting and the Annual Conference for deserving Master of Library Science degree candidates. Successful applicants are selected based on economic need and the quality of an essay based on criteria set by the board. Scheduled to graduate in August, 2012, Timothy Thompson currently lives in Bloomington. He recently completed a year abroad on an academic fellowship in Brazil. The board of directors continues to seek both corporate and individual donations in support of the Robert F. Asleson Memorial ALA Conference Grant. It believes that exposure to the programs, seminars, contacts and other conference benefits will foster an on-going love of and dedication to the cause of librarianship in students who otherwise would be unable to attend, reflecting the values exhibited by Bob Asleson throughout his life and long professional career. Cape Coral, FL, January 18, 2012 – Unlimited Priorities LLC, a company specializing in support for organizations within the information industry, has been selected for the 2011 Best of Business Award, Management Consulting Services, by the Small Business Commerce Association (SBCA Community). Unlimited Priorities previously achieved this honor in 2009. SBCA Community is a San Francisco-based private sector entity providing small business owners with the information and resources needed to comply with laws and regulations required take advantage of government programs and services to help start, expand and run their businesses. It provides access to all forms, contact information, guidance with laws and regulations, and help in applying for government assistance programs. Utilizing consumer feedback, the SBCA 2011 Award Program identifies the top 5% of companies that have demonstrated those qualities that make small businesses a vital part of the American economy. Award winners are chosen from nominees based on information provided through monthly surveys administered by SBCA Community, a review of consumer rankings and additional consumer reports, and are recognized as valuable assets that exemplify the importance of small businesses to their communities. Cape Coral, FL, January 12, 2012 — The board of directors of the Robert F. Asleson Memorial ALA Conference Grant has announced this year’s award recipient. Diane Malmstrom, a student in the Graduate School of Library and Information Science at San Jose State University, will receive a $1,500.00 grant to help defray the cost of attending ALA’s 2012 Winter Meeting in Dallas, Texas in January. The Robert F. Asleson Memorial ALA Conference Grant was established by friends and colleagues within the information industry to honor the memory of Bob Asleson, late founder and president of The Redalen Group, for his many contributions to the library community. An advisor and guide to countless members of the profession, Bob’s 50-year career spanned both traditional and innovative technologies, from reference materials to CD-ROMs to online databases. He held presidential positions at several leading industry companies and served on numerous organization boards. The grant’s awards subsidize attendance at the American Library Association Midwinter Meeting and the Annual Conference for deserving Master of Library Science degree candidates. Winners are selected based on economic need and the quality of an essay based on criteria set by the board. Scheduled to graduate in December, 2012, Diane Malmstrom is a single mother living in San Jose, California. 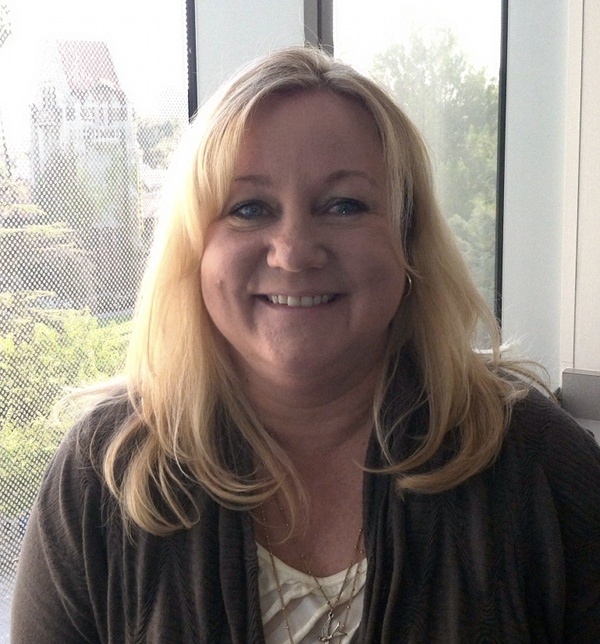 With two college-age children, Diane is pursuing an MLIS degree at San Jose State University while working full time. In 2010 she received the New Leader Award from the California Library Association Technical Services Interest Group. Her winning essay has been posted on the grant website. CAPE CORAL, Fla., Oct. 26, 2011 – Iris L. Hanney, founder and president of Unlimited Priorities®, has announced two additions to the firm’s team of executive-level professionals which bring increased capabilities in Social Media and Information Technology. JD Thomas has a passion for exploring new ways to communicate, collaborate, and share information in ways that enhance the value and usefulness of the information. His expertise includes search engine optimization (SEO), social media optimization (SMO), website analysis and website development. JD gives workshops on crafting websites to be both discoverable and socially engaging using strictly “White Hat” search engine and social media optimization techniques. His skills and perspective have helped numerous businesses and libraries create a stronger connection with their patrons. Albert L. (Al) Stevens has spent his career applying advanced information technology to solve complex problems. His expertise includes open source technologies, cloud computing, network architecture, complex Web hosting, databases, XML, semantic modeling and technology sourcing. Prior to joining Unlimited Priorities, Al recruited and led the development team at Credo Reference to re-architect, design and implement the company’s reference service using best-of-breed open-source technologies and move it onto a 100% cloud-based architecture. Coincident with the addition of the new team members, Unlimited Priorities has launched a new version of its own website which highlights many of the new social media and information technology skills the company can bring to its clients. Unlimited Priorities is completely in step with the management requirements of small to mid-size organizations in the information industry. We provide executive-level support services by utilizing a highly skilled group of professionals with abundant experience. Our practice specialties include Sales and Marketing, Business Development, Financial Services, Operations Management, Production, Information Technology, Social Media and Content Development and Licensing. Our new Archival Initiatives Division provides advice to libraries, historical societies, and industry associations in selecting, distributing, and monetizing their valuable archival content. Our goal is to enhance our clients’ abilities to succeed, offering solutions that are realistic, practical, achievable and affordable.